The more things change, the more they remain the same. One of the consequences of the Supreme Court’s judgment in the NJAC case, as many would expect, is that transparency will be the hallmark of the appointment and transfer of Judges. Even as the Central Government is finalising the revised Memorandum of Appointments (MoA), the Supreme Court Collegium has, according to many reports in the media, finalised the transfers and appointment of some Chief Justices of the High Courts in its first meeting after the NJAC judgment on 12 January. The Collegium’s concern to speed up the process of filling the vacancies is understandable, given the number of vacancies in the High Courts. But should the Collegium, in the process, sacrifice the requirement of transparency, which the five Judge Constitution bench has itself laid down in its 16 December, 2015 judgment, to be the basis of the revised MoA? Indeed, the latest reports of the Collegium’s recommendations can only be attributed to leaks from Collegium or the Court. It is not as if the leaks are unreliable. They may be. But the leaks are of two kinds, and the reader does not know which one to believe, or whether to believe both. According to Asian Age/Deccan Chronicle of 19th January, there are seven transfers and one confirmation in the offing. 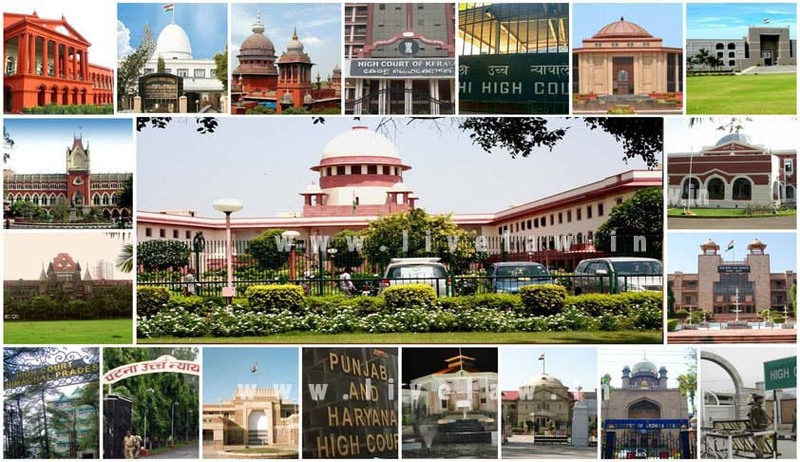 These involve the Chief Justice of Orissa, DH Waghela (as CJ of Bombay HC), Justice Dinesh Maheswari of Allahabad HC (as CJ of Meghalaya), Acting Chief Justice of Rajasthan HC, Ajit Singh (as CJ of Guwahati HC), Justice Vineet Saran of Karnataka (as CJ of Orissa HC), Justice SK Mittal of Punjab and Haryana HC (as CJ of Rajasthan HC), Acting chief Justice of Karnataka HC, SK Mukherjee (as regular CJ of the same HC), Justice R Subhash Reddy of Andhra Pradesh/Telengana HC (as Chief Justice of Gujarat HC) and Justice Hemant Gupta of Punjab and Haryana HC (as Acting CJ of Patna HC). The Hindu of 22 January carried a similar story confirming these decisions. The DNA carried a PTI item on 21 January reporting that Allahabad High Court CJ, DY Chandrachud will be shifted as Chief Justice of Delhi High Court, and the present chief justice of Delhi High Court, Justice G Rohini will be shifted as chief justice of Madras High Court. The same report said Justice SK Kaul, chief justice of Madras HC will be shifted as the chief justice of Allahabad High Court. But reports in the other newspapers do not confirm or deny these decisions. The selective leaks in the media have fueled speculation over the probable names of judges, likely to be elevated to the Supreme Court. One can be sure, if these reports are true, that Justice Waghela, Justice Chandrachud, Justice Kishan Kaul,and Justice Rohini may not make it to the Supreme Court, as one can rule out their elevation so soon after their transfers. LiveLaw had reported on 14 November that their names are high on the all-India seniority list. Through the process of elimination of the Judges who are currently in the news for transfers as the CJs of various HCs, the names of Judges who may find themselves in the consideration zone for filling the vacancies in the Supreme Court may be speculated. There are currently five vacancies in the Supreme Court , and with Justice M Yusuf Eqbal retiring in February, the number of vacancies will soon be six. The Chief justices of Meghalaya High Court, Justice Uma Nath Singh and of Madhya Pradesh High Court, Justice AM Khanwilkar, according to sources, may not find themselves in the zone of consideration, because of certain controversies surrounding their tenure. It is, therefore, possible, that the remaining vacancies in the Supreme Court may be filled by senior members of the bar.